‹ Veal Sweetbreads On A Bed Of Shitake Mushrooms With Caper Sauce. Our friend Ira Howard Levy called to wish Cathie a happy birthday, and asked “whats for dinner?” Sweetbreads, said I, and Ira said “with Caper sauce?”. Aha! There it was and I knew what the final touch would be. It was a fine addition and in Cathie’s words “smashing”. 1. Add the whole & chopped Capers, along with the Water & Lemon Juice into a small saucepan. Bring to a boil over medium heat, & reduce by half. 2. Turn the heat down as low as possible. 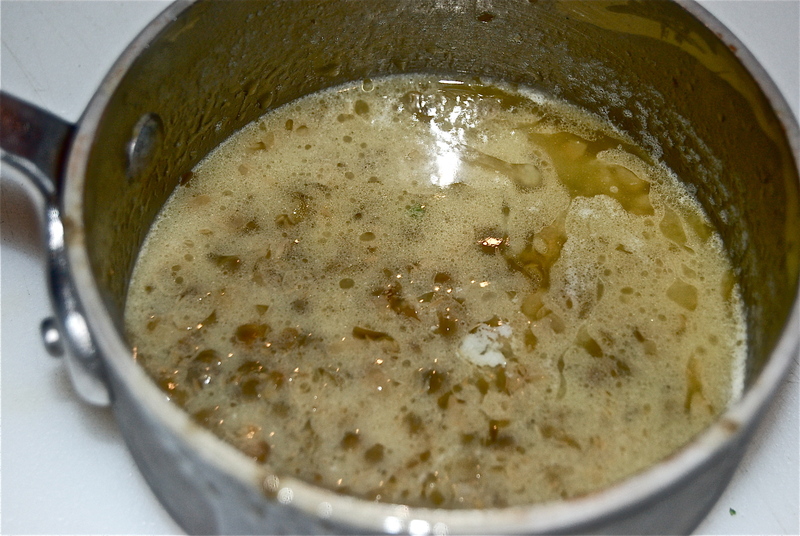 Add a few pieces of the cold Butter & whisk vigorously, until the Butter blends into the sauce. Add a few more pieces of Butter, & repeat. When half the Butter has been whisked into the sauce, turn off the heat, & whisk in the rest. 3. Season with the optional Salt only if necessary.